In addition to putting up my thoughts on the the first year of pharmacy school, I will also put up some of the projects from the year. We were assigned three presentations and two papers. 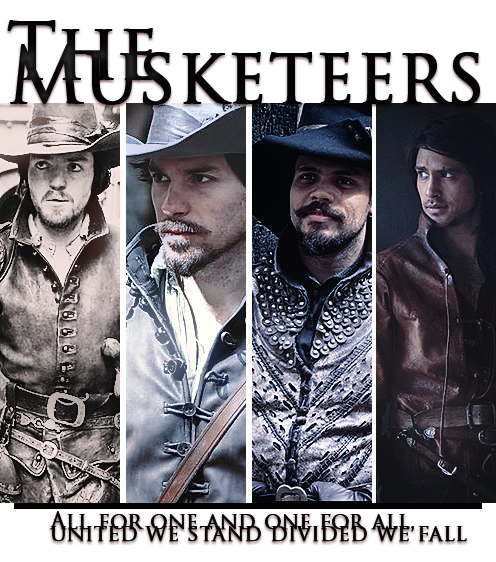 They will be posted as any other blog entry. Instead of hyperlinks, they have normal footnote citations from pubmed or drug databases. I really just want to put the articles out there rather than just stored in my computer. You may like them, you may hate them. But I will publish them anyway. I hope you enjoy them. I actually enjoyed writing them. The first will be posted this morning from the Pharmaceutics Class about the different ways to get drugs into the body. My interest lay with the harder question of getting drugs into the brain. An answer: through the nose. I know it has been a while since I actually posted anything on here. I really wanted to record the new experiences of pharmacy school, but I did not fully anticipate the barrage of information, assignments and examinations. Before going into some details though, I should point out that it has been a great year. While teaching and coaching began to bore me, there is far to much to do to ever get bored. The PharmD program began last August. Due to some strange circumstances, we still lived in Winston-Salem while I was taking classes in Chapel Hill. Additionally, my wife ended up with a teaching position in Wake County. For about 5 weeks, we left the apartment at 4:30 with being dropped off at a bus stop in Chapel Hill at 6 while she continued another 45 minutes. When then had to head in the opposite direction after her school day was over. I have no other description than awful. I might have finished a lot of work on campus, but we were exhausted, dehydrated and stressed. Fortunately, we closed on our house in October after another series of complications involving the bank. As if the commute was not difficult, the course load added up quickly. Considering I have not been a student for a long time, it surprised me how much things have changed. I tried taking notes in a notebook, just like I did in the early 2000's. Impossible. Everyone else clinks and clacks on laptops, but also checking emails and Facebook. I adapted my lecture strategy to using my iPad. For each lecture, I turned the Power Point file into a PDF with 2 slides per page and imported into a great app called Note Taker HD. I have the professors slide deck and I can highlight, make notes or draw pictures on top of everything. Most importantly, without my laptop out I had no distractions from the websites I would have scrolled through during the boring parts. I am sure that works for some people, but I have to pay attention instead of just rewatching the lecture later. The Fall classes were all straight forward college classes. I was most nervous about Biochemistry since I had never taken it. Our professor invented one of the Top100 drugs in the country and gave out dollar bills to students that answered questions. He talked fast and I really struggled at first. I became worried after the second class and not understanding a single thing the professor said for 90 minutes. I thought I had made a huge mistake and had ruined everything for my wife and I. BUT, I pulled through and actually ended the first semester with a 4.0. I never expected to do as well as I did, but it worked. At that point, I really thought, "I can do this Pharmacy thing!" Then came the Spring Semester. After a successful first semester, I was pumped for round two. I mean I was 1/8th of a pharmacist! The new classes were mostly the second half of the falls courses. Pharmaceutics II. Biochemistry II. But it was even more difficult. The level jumped dramatically and I don't think many people expected it. Watching other people, they really became super-anxious about every little thing. We performed a medication history on a person acting like a patient. Everyone freaked out, but it was pretty straight forward. You just ask the "patient" for their medication list and then check how they take it, what they take it for, and if it works for them. The only stressful part was the time limit. That and I actually forgot my name tag that day. Luckily no one who did the grading happened to notice. At the end of the semester, everyone panicked about aseptic technique in IV hood. I guess that one was a little more stressful as one mistake led to automatic failure. Apparently about half of the students always have to try again. Not me! I was told that I have beautiful technique! Another great part of the second semester was immunization certification. Two tests and a couple of long class periods, then we are allowed to provide pharmacy based immunizations. I am really excited about that. I worked a day at the flu shot tent during the State Fair, but I couldn't do anything. Now I actually get to shoot people in the arm! Anyways, I made through the second semester of pharmacy school and am now officially 25% of the way to becoming a pharmacist. I finished with another 4.0 for the semester and I am filling pretty good about my second chosen profession. I just finished my month long rotation at UNC Hospitals this morning. Actually, I am writing this sitting on the hospital's Starbucks patio waiting until lunch with the Director of Pharmacy. I am saving my hospital experiences for a few more blog posts later on. But I wanted to share a few parts of year one. I am sure that I will write about a some more of it over the summer. It was a struggle, but I have been successful. I could not have done any of this without a super-supportive wife who packed up everything and quit a job she loved to come back to Chapel Hill. She ended up in a bad situation at her new school, but I hope those problems have been sorted out. While pharmacy school makes things difficult now, I believe that this route brings us far more options for the future and our family. I hope that I can continue to make her proud. The Return of the Blog?!? I know that it has been a long time since I said I would "Be Right Back", but in the grand scheme of things it really hasn't been that long. Two years have passed since I left the blogosphere and a lot has happened. Major life changes distracted me from my writing. The first one involved a changing of schools. My high-school quarterback became the head football coach at another school in the county, which also happened to be the school my wife taught at. So I packed up all my stuff at East Forsyth and moved it over to Ronald W. Reagan High School - a school ironically named after the president that wanted to abolish the Department of Education. Changing schools really shouldn't have messed up my writing, except for the challenges that went along with it. Instead of teaching Biology, I agreed to teacher Honors Chemistry and Physical Science. While they may seem like similar courses, they bring very different clientele and so I faced two new preps for 90 minutes a day. I felt like a first-year teacher again, but I enjoyed explaining new topics and trying new experiments. Most importantly, it gave me a chance to practice my Chemistry and Physics problems for a later part of the story. Me (left) and my assistant holding the first championship trophy in Reagan history! 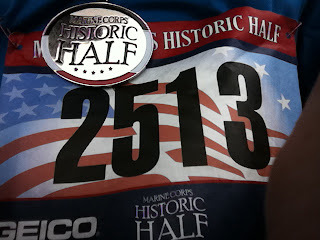 I planned to resume my blogging at the end of the long, difficult school year, but a new opportunity presented itself. The wrestling coach left, and I took over that duty. I had been an assistant wrestling coach for 5 years, but used changing schools as cover for a break. I now controlled my own Wrestling program, blogging would have to wait. The previous coach left a mess of things, so a lot of my summer and fall centered around cleaning up and preparing (at the same time I started coaching a new position with the football program - defensive backs). We had a great wrestling season which included several school records and the first tournament championship in school history. But another change was coming. In 2006, I graduated with a Masters of Arts in Teaching and a plan to teach science and coach football for the rest of my life. Unfortunately, our school system, our state government, and many other factors sent me in search of other opportunities. I hadn't finished my first year before I started looking at anthropology programs online ready to move to London - we were watching Ape to Man from the History Channel. 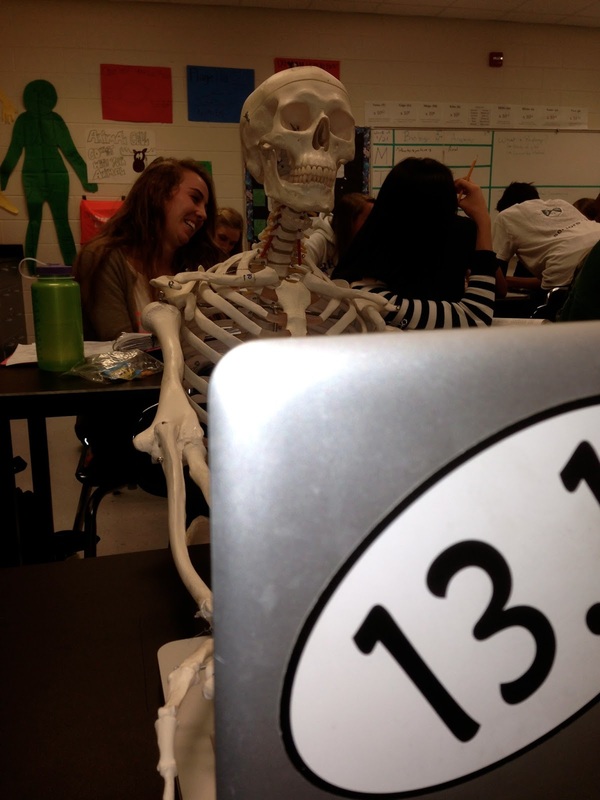 My classroom skeleton doing some research on the computer. Instead, I decided to go to medical school so I studied for the MCAT and readied my applications. I did well on the MCAT earning 30 points (80th percentile), but scored low on the Physical Science section. Combined with a GPA of a B+, I never even went to an interview. So I buckled down, took the MCAT again, received the exact same scores. I still applied to several medical schools, but nothing ever came to it. I began teaching Physics to help my Physical Science skills, but nothing seemed in interest the medical schools. Eventually, I stopped applying and settled into my role as a high school science teacher. When I came to Reagan High School, I fully intended it to be my last stop. I could stay there for 25 more years with my wife until I retired. It was an okay gig, but the same reasons I wanted to leave East made me search for something else. When one of my college roommates who is now a dentist in Louisianna offered to write a recommendation, I figured I would give medical school one more chance. Still, no luck. As I was turning 30 soon, I knew that I had only one more chance to change careers. This time, I decided to take the PCAT. It was similar to the MCAT, but with more chemistry. I did some studying and went to take the test. My high school geometry teacher signed me in on test day and gave me my results afterwards. I folded the paper, said good-bye and went to my car. Finally I checked my scores to see that I had scored in the 98th percentile! I was ecstatic! With scores like this I should definitely apply to some schools. I applied to Creighton University and to the University of North Carolina. I didn't really expect much to happen after all my rejections to Medical Schools, but BOTH schools wanted me to come for interviews. At this point, wrestling season was getting underway and my travelling abilities were becoming limited. After a little work, I took the Tuesday before Thanksgiving off from work at travelled to Chapel Hill for an interview. Interestingly, when I decided to stop by student stores for a T-shirt and happened to run into two former students. The interview went smoothly. We talked about professionalism and the future of pharmacy. We toured the facility and labs and they said that they would let us know it two to three weeks. There was a tour of the overall campus next, but I spent five years at UNC and I had to get to the first wrestling event of the season in two hours. 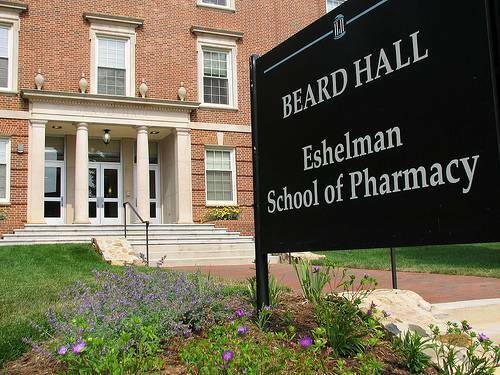 The Eshelman School of Pharmacy at UNC-CH is ranked #2 in the country! Everything seemed normal during Thanksgiving and the next week. 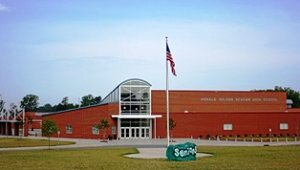 I taught my classes and ran wrestling practices and on the next Wednesday we went to Starmount High School for a wrestling match. While the team was warming up, I happened to check my emails, which included an acceptance to the Eshelman School of Pharmacy next Fall!!! I had finally done it! I had been accepted into a pharmacy program after rejection after rejection over 5 years had passed. With my self-imposed last chance, I was going to Pharmacy School! I was going to one of the top pharmacy schools in the country. Well, that brings us to today. I have quit my job at Reagan, as did my wife. We sold the house we bought a year ago. Now we are just waiting for the closing date and getting ready to move … again. It hasn’t been easy. It is a lot of change not just for me but my wife. She has been amazing. She loved the house we just bought and her job at Reagan, but she is giving it all up so that I can become a pharmacist. I love my wife very much and owe her so much more for giving me this opportunity. I could not do any of this without her. My wife won't let me use her picture, so this is from our trip to Rome! I start my program this fall, but I do have to take a Summer School prerequisite before I get there. I don’t know if I will have too much free time, but I hope I have the opportunity to blog. Not only has a lot happened in our lives, but also a lot has happened in the world of science and education. The state politics of North Carolina alone could give me plenty of writing material. Thank you for taking the time to read this far. I hope to bring you more later. Taking a week off from, well, everything!!! Have a great week and I will be back with more science, education, and other stuff next Monday!!! I hope you all have a happy Memorial Day with family, friends and food. After a long, long fourth quarter, I believe all teachers welcome this day off from school. If no one else does, then I am relieved for a day off. This month has been non-stop for me with something happening every weekend. First came the Race for the Cure and Mothers' Day on the same weekend. Then we traveled to Fredricksburg, Va for the Marine Corps Historic-Half Marathon. Finally last weekend, I traveled to Sunset Beach with some friends before one of them gets married. But it has also been crazy in the classroom. I began the month of May less than halfway (Chapter 14) through our textbook. But on Friday, I covered the final chapter (39) so that we can begin reviewing for the end of course test. Given more time or more control of my subject, I would have probably spent more time in certain areas like human anatomy and evolution. Unfortunately, I don't have any say in what topics I teach and barely any say in how I teach them. On a bright note, I learned how to project a ball using a dry ice bomb. I have been having Blogger issues since Thursday, so I haven't been able to upload any posts. I posted a Lyric of the Day and then I was blocked out after that. I could not even get in on Friday. Blogger even gave me some grief trying to log in today. Hopefully, the issues have been solved and I can return tomorrow with some interesting articles. Our school has finally reached spring break! After a long quarter of classes, the students disperse in different directions and teachers go to meetings and grade more papers before taking a couple of hard-earned days off. The mental exhaustion takes its toll on the body and a few days of recovery can really help before the final push to the end of the school year. We get to take care of the errands around the house which we have neglected since January and if we are lucky travel some place warm. In the excuse of mental health, I will be taking a week off from posting on the blog to completely relax. Hopefully, I will be able to catch up on some reading and writing to come back next week with some good articles for people to enjoy. Whether you are on spring break or not, have a great week and find some time to relax. Enjoy this cute video of kittens (which may be a good metaphor for something). See you next week! Our First Non-Animal Cousins: Sean Carroll (Wisconsin) writes for the New York Times about Choanoflagellates who is providing clues to the origins of multicellular animals. Sea Turtles Navigate with Magnetic GPS: Scientists reveal how sea turtles can cross the Atlantic Ocean and return to the exact same beach every time. Both were fascinating articles. I will return tomorrow with a TED Talk Tuesday. Thank you for following the change to this new domain. At this time, any new articles will be published here. The Lyric of the Day and Ted Talk Tuesdays will continue at this new location. Ideally, only the URL will change. In the 1940's and 1950's, several scientists brought together the separate subfields of biology by identifying evolution as the single, unifying theory of all biology. While Julian Huxley coined the term "The Modern Synthesis" in his 1942 book, he, Ernst Mayer, and Theodosius Dobzhansky recognized evolution's explanatory power for genetics, taxonomy, paleontology, cell biology, ecology, and other specific subdivisions. Today, their work continues as Evo-Devo investigates evolution's actions through the developmental process. As a science teacher, I also focus on education as the best hope for our society. Through proper education, we can fight poverty and defeat bigotry. I hope to provide a space for debate on several topics within the comments section of the website. When you feel moved by a topic, please feel free to respond with a comment. Should you enjoy the site, you can subscribe and receive email updates. Otherwise, new articles will usually be linked through Twitter and Facebook. Please enjoy the same site with a new name. As long as humans have differentiated science from religion, there has been tension between the two. Perhaps this should come as no surprise. Summarily, science endeavors to describe the universe as it is, while religion endeavors to find meaning and purpose in existence. The word ‘science’ comes from the Latin scire, meaning ‘to know.’ Thus, science is the process of collecting information and knowing what that information tells us. In contrast, the word ‘religion,’ according to one theory, also comes from the Latin religare, meaning ‘to tie back,’ reaching beyond what we can physically perceive in order to establish a connection to what is not physically perceived. Instead of knowledge, religion deals with belief. According to this word study then, science and religion are, by definition, opposed. The great American paleontologist, Stephen Jay Gould, carefully defined science and religion as two separate spheres that never touch. He called this opinion Non-Overlapping Magisteria, or NOMA. This is the safest of all opinions regarding science and religion- as separate but equal ideas. On the other hand, science and religion offer different perspectives for explaining our reality. Each act as a different thread of human understanding. We can tie them together to answer both the materialistic questions of life and the larger questions of living. Some of the greatest scientists in history were deeply religious. Newton, Galileo, Einstein and more found a way to bring religion and science together in their own minds. Maybe we can bring that same idea into the larger discourse of science and religion. Hence, this blog. We are a preacher and a teacher, representatives of religion and science respectively. But both of us are simultaneously men of faith and men of science. We intend to propose that our corresponding fields are not necessarily so conflicting as many might believe. We intend to open both our minds as well as our hearts to what the human experience, in all of its rich diversity, can teach us. We plan to bring the issues of science and religion to you from a variety of sources. Our posts could be reactions to news articles, blogs posts, videos or entirely original pieces. We will have some reoccurring posts. For instance, the Lyric of the Day will contain part of a song that we enjoy or at least have stuck in our heads. As musicians, we believe in the power of music to heal and its relationship to the spiritual. Another post will be a TED Talk each Tuesday. The people at TED are committed to improving society and discussing the big, important issues of the day. All types of articles require your comments and response as we attempt to tie these two threads together. In the interests of self-preservation and career security, we must be clear about what this blog is not. This blog is not a credo; it is not a statement of our beliefs. Instead, we will discuss possibility. Likewise, this blog is not a soap box, or some authoritative pulpit from which we ‘preach’ whatever ‘truth’ we decide upon. Instead, we will attempt to consider truth’s grand spectrum. And finally, this blog is not an agent of division. Our most important, indeed sacred, objective is to be agents of reconciliation in a place and time yearning for peace, however peace may be manifest. While we may express thoughts, concerns, and even opinions, we never seek to alienate any perspective. Quite the opposite, in fact. Perspective is what we seek. And a little more perspective never hurt anyone. Our most fervent hope is that both knowledge and meaning may grow from our humble discussions. Today, we begin this journey of science and religion with you. Without readers and commenters, this exercise remains two friends talking (which is not such a bad thing). In that spirit, we hope you enjoy reading!